This is from EGC 2010, back when I was a puny 5 dan. I played a Korean 7d and came up with one of the best moves (imho) I ever played. I accidently died in the white moyo, with my opponent using approximately 8 seconds per move on average, until this move. 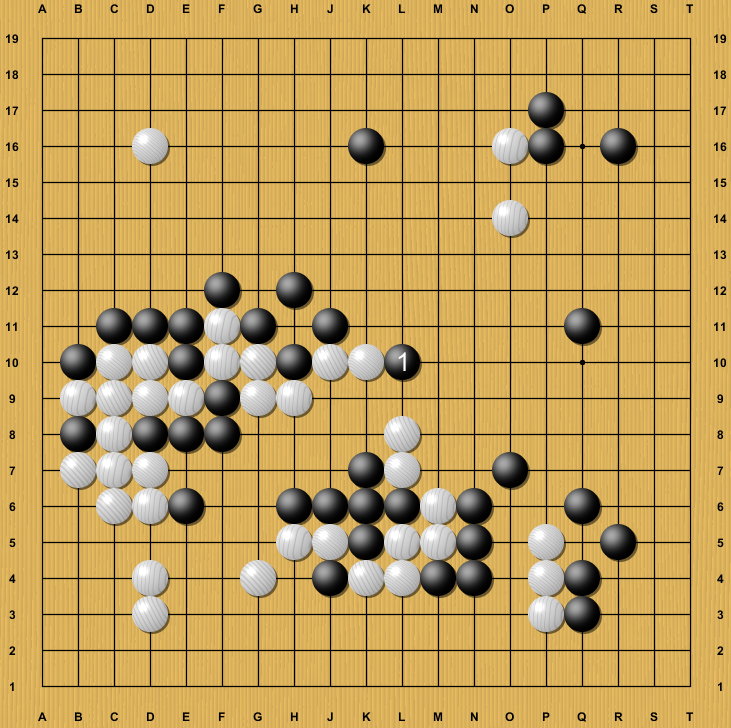 After pondering for a while, White decided not to turn out, as there would have been a ko cut and Black would have had several dormant threats around m7. 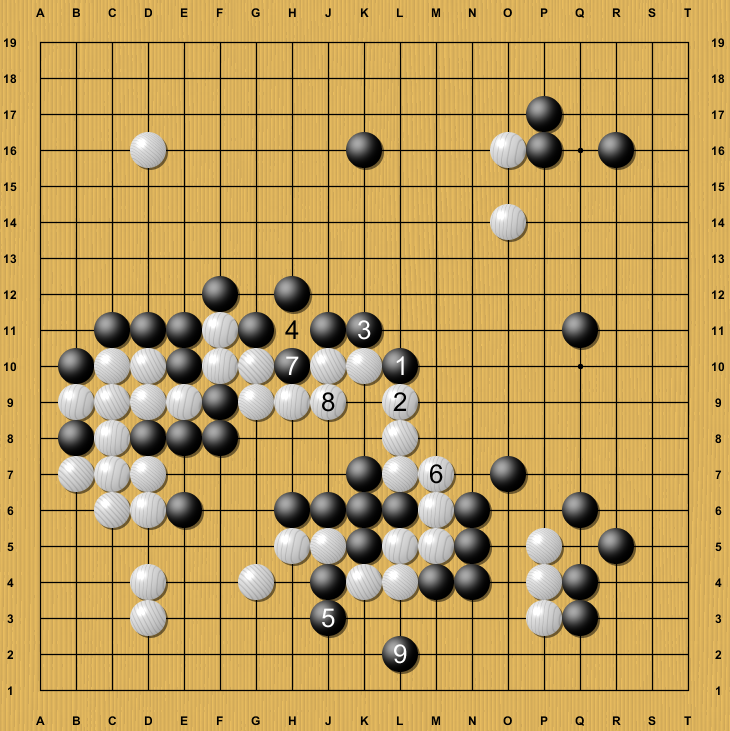 Finally Black succeeded in pushing White back in sente and came back to save the two lower stones. White then proceeded to die in upper right and at some point I was even ahead. In the end, however, I succumbed to the Korean 7 dan magic. 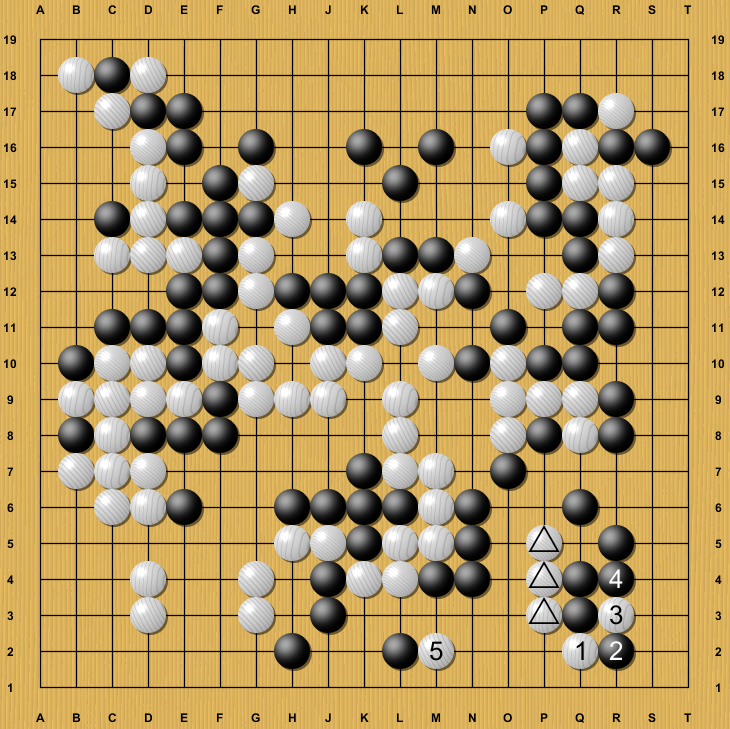 White managed to revive the three doornail stones, killing me in the process and forcing me to resign:S It does not actually work, but as a stupid 5 dan, I fell for it. This game was the start of my blogging career; back then, I made my first blog post to rant about this loss.